Manga and anime getting game FuRyu game adaption. FuRyu is developing a Himouto! Umaru-chan game for PS Vita called Himouto! 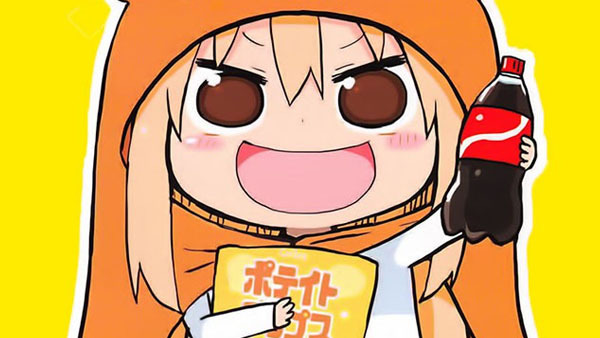 Umaru-chan: Umaru Training Plan, it’s been announced. Due out in Japan in winter 2015, it is a training simulation game with the goal of getting rid of Umaru-chan’s sloppy side. A limited edition of the game will include a Sankaku Head-illustrated special booklet, drama CD, bath poster, “Idol Costume” original costume downloadable content, and four changeable jackets for the box. Pre-orders will also include the “Swimsuit Santa” original costume downloadable content. Read up more on the manga here. An anime is scheduled to begin broadcasting from July 8.